The Horizon Fitness EX-59-02 Elliptical Trainer offers you a truly effective home workout that parallels the gym experience. The manufacturer’s experience as a premier provider of quality exercise equipment offering comfort, control and convenience is written all over this piece of equipment. The manufacturer really put comfort at the centre of this elliptical trainer so that you get the smoothest, most natural elliptical feel available on the market today. User reviews, however, show that not everyone feels the same about how well the Horizon Fitness EX-59 elliptical trainer performs. Whether or not it is the ideal choice for you depends on what type of user you are – a heavy user who spends a lot of time on exercise vs a normal who hops on 3 or 4 times a week. A key factor in any exercise regime is comfort during exercise and the Horizon Fitness EX-59 elliptical trainer is packed with technology that make it one of the most comfortable elliptical trainers on the market. 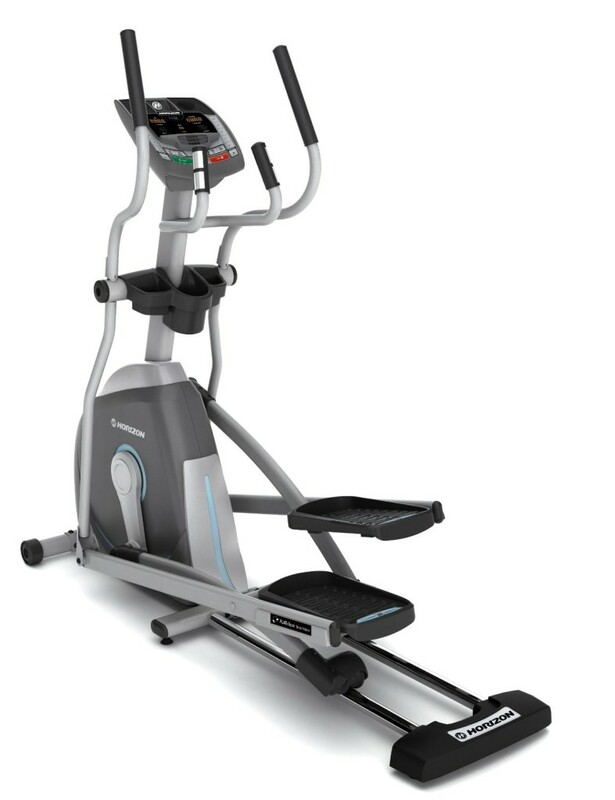 The Horizon Fitness EX-59 comes packed with six technological designs which cover pulley design, pedal placement, distance from the ground right through to grip placement, demonstrating just how the manufacturer has you the trainer in mind from the bottom of the machine to right top. Pulley Design: The drive pulley ration on the Horizon Fitness EX-59 gives it one of the smoothest and most comfortable motion elliptical trainers on the market today. Fatigue Management: – other than the pulley design, the Horizon Fitness EX-59 mimics natural running or walking. This gives you more training time on the machine as it minimizes fatigue on your body. Psychologically this also prepares your body each time you jump on the machines as it is not anticipating to tire out quickly. Pedal Placement: The Horizon Fitness EX-59 pedals are placed with zero distance between them. This is meant to eliminate stress on hips and back while you exercise. Pedal Height from the ground: the Horizon Fitness EX-59 elliptical trainer pedals placed low to ground so can step on and off easily. Some users have actually blasted this machine on this aspect, but what i think they miss miss is the science behind such a design, which is all about comfort and stress management on the body. Body positioning: This technological design on the Horizon Fitness EX-59 elliptical trainer helps you maintain your body in an upright position. This is not only a comfort design aspect but also has been demonstrated to give you faster results in your exercise. Grip Placement: This is also another area where users have given this elliptical trainer some bad reviews. The idea behind this technological design is to cater cater for both small and large framed users. To achieve this, the manufacturer studied and developed an ideal distance where there can place the grips. The above six technologies has earned the Horizon Fitness EX-59 elliptical trainer a certification (SIX star Certification) for the most innovative elliptical trainer that delivers the smoothest, most natural elliptical experience available today on the market. So quiet you can place it next to your bed! No one wants a noisy trainer in their living space and the Horizon Fitness EX-59 Elliptical Trainer will make you think there is not a mechanical device around you. 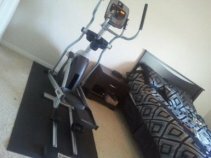 This elliptical trainer is very quiet during operation; you can even exercise while your partner is fast asleep! 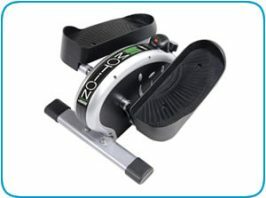 This elliptical trainer uses belt drives and a friction free magnetic resistance mechanism. Although many users and reviewers have given their thumbs up on machine quietness, I have seen a few who have claimed that it was noisy. Based on this, I made a trip to my local fitness store where I tried one of these. I learnt that the very fact that the resistance system on this elliptical trainer itself is so quiet, chances are you will occasional hear some other mechanical noises, albeit on very low levels. This is definitely not something to worry about. I would give a thumbs up on machine quietness. Firstly your living space in the home is much smaller than in a large showroom, as there is generally more noise in the latter than in your home. Therefore you may feel there is more noise when, in actual fact, there isn’t. 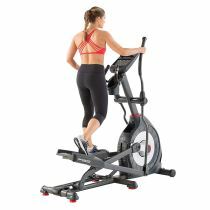 Secondly as the machine is working, there is a vast amount of energy which gets transferred to the rapidly spinning flywheel in the Horizon Fitness EX-59 elliptical trainer and this will generate some noise, but not to the level of most budget elliptical trainers on the market. Additionally, during exercise, a lot of heat is generated and this makes the parts in your machine expand, hence some degree of noise is generated. You may hear more noise on a wood overlay floor than a carpeted concrete floor, the latter has less reverberation. You can easily address this by placing a heavy rubber mat under your Horizon Fitness EX-59 elliptical trainer. Have a look at my page here on the best mat for your elliptical machine. A very useful tip from the manufacturer is to not place your Horizon Fitness EX-59 elliptical trainer close to a wall. This will help reduce any noise bouncing off the wall and make your home training experience on this elliptical trainer an enjoyable one. 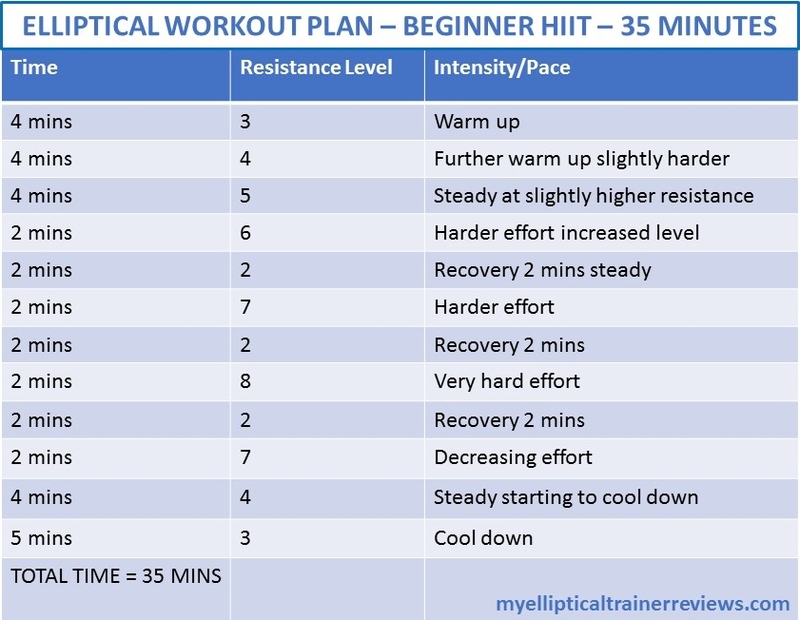 1 additional custom workout – most users find this very useful as it gives you the power to add variety and intensity to your workout, while on-the-fly changes let you mix it up at any time. LED display window with 3 orange LED windows. 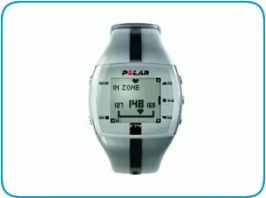 This will display your display your heart rate as well as give you critical and key workout feedback as you train. MP3 Player/Ipod input with massive Sonic Surround speakers. This feature means you can easily integrate your training session with your favorite workout play list. If you don’t want to hear the sound through the speakers, the Horizon Fitness EX-59 comes fitted with a headphone output so you can plug in your Dr Dre Beats or whatever premium headphones you have. A Fan which keeps you cool while you workout. Handling Resistance – the Horizon Fitness EX-59 comes with 2 options for changing the resistance level using the either the intuitive + and – buttons or the numerical 1-10 scale on the sides, giving you a quick and easy way to change resistance levels. 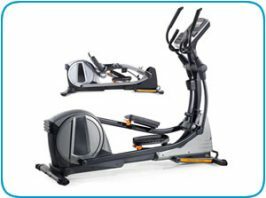 The Horizon Fitness EX-59 Elliptical has been hailed by most users as having clear and well written instructions with diagrams for assembly. However as in any assembly of a mechanical object, you need to ensure proper angling of bolts, otherwise they may not thread in easily and you may waste countless hours trying to get your elliptical up and running. 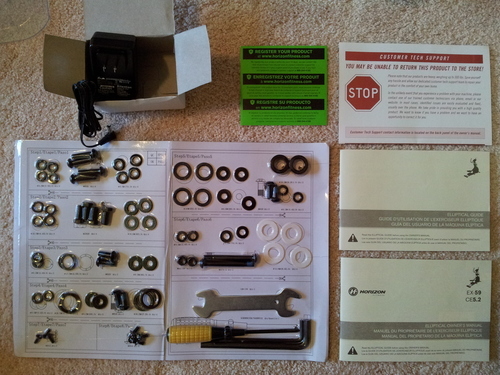 As far as this elliptical trainer is concerned, thumbs up for Horizon Fitness as they have done a great job of laying out all the washers, bolts and other assembly items on an easy to follow card. The parts for the Horizon Fitness EX-59 elliptical trainer are clearly separated into individual steps which number 1-8 and the setup should take you no more than 2 hrs if you follow them step by step. The maximum weight that the Horizon fitness EX-59 can take is 275 lbs. I have to tell you, sometimes product weight specifications go right over my head. I therefore had to research what this meant and for elliptical trainers I found that it affects the sturdiness of the machine and this is a very important consideration. 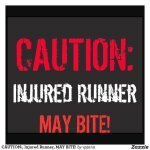 There is nothing as bad as working out on a wobbly machine. The upper weight specification for this elliptical trainer means that any user and particularly those edging close to this upper limit will find the machine to be very sturdy despite their weight. When assembled the Ex-59 comes in at 73″L x 22″W x 65″H, while the boxed dimensions are 52″L x 30″W x 19″H. The Horizon Fitness EX-59 elliptical trainer comes with a standard warranty for the frame, brake, parts and labor. However this warranty does not cover the elevation motor. To really maximize your peace of mind, Horizon Fitness has 1 or 2 year extended warranty which covers 100% parts and labor plus toll-free support should you need it. There is a caveat though to getting this extended cover which is that you must purchase this extended warranty within 90 days of the purchase of your machine. Beyond this period you will not qualify, so if this is something you want, you have to act within the specified time-frame. There are a lot of positives about the Horizon Fitness Ex-59 elliptical machine as well as some negative aspects. However the positive elements seem to outweigh the cons around this machine. The list below covers what I feel are the most significant pros and cons, following my extensive research and reading some Horizon Fitness Ex-59 elliptical trainer reviews which can sure give you a good head start with your own review.